What does the PTA provide? Last days to pay for yearbook! 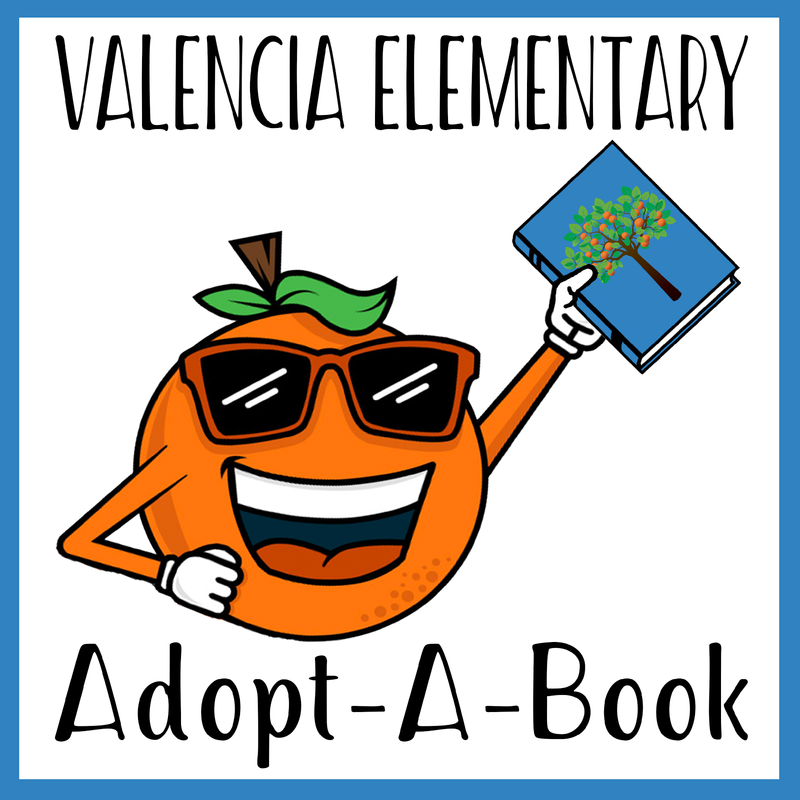 Adopt-A-Book for the Valencia Library here! Spirit wear orders will be placed throughout the year. The next order will be placed soon! Order yours today! 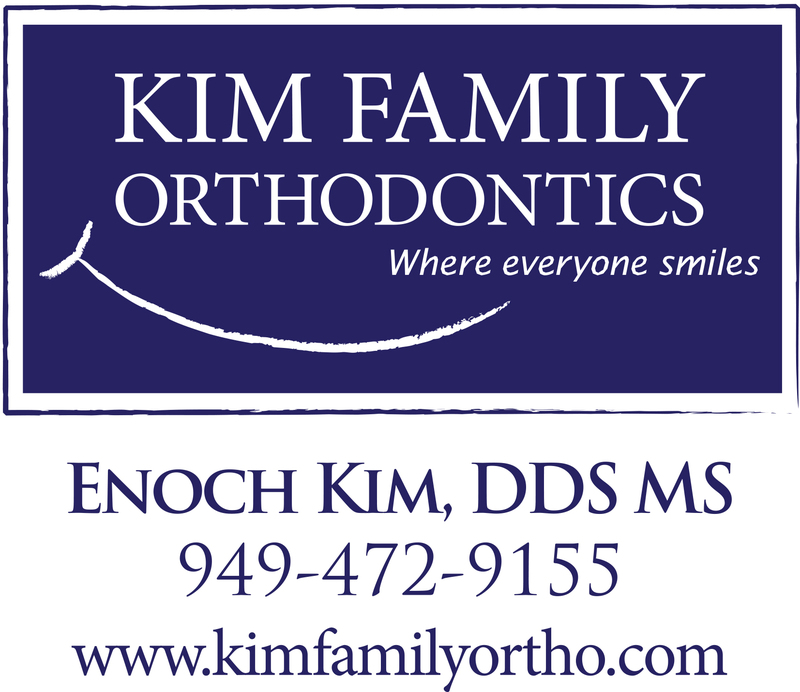 We are so thankful to our Sponsors for their generosity! 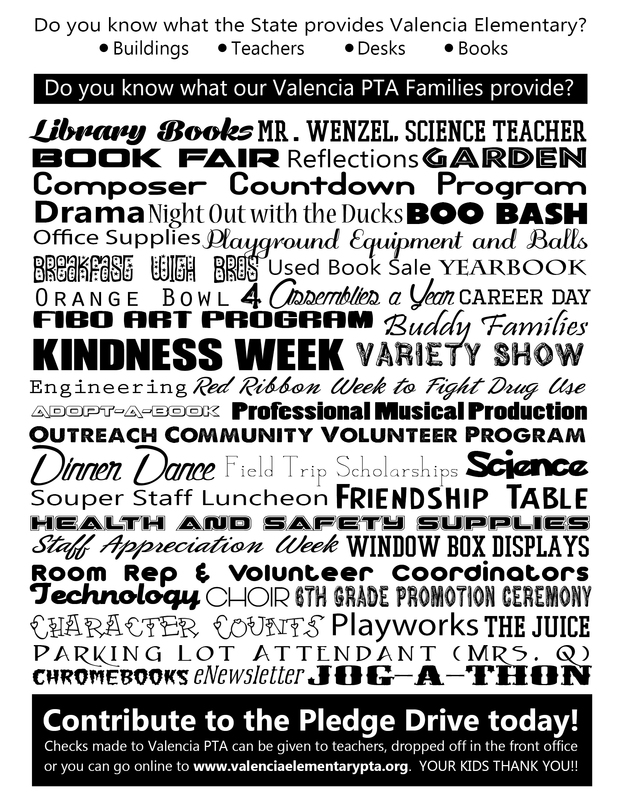 If you would like to be a sponsor of the great programs at Valencia, let us know! 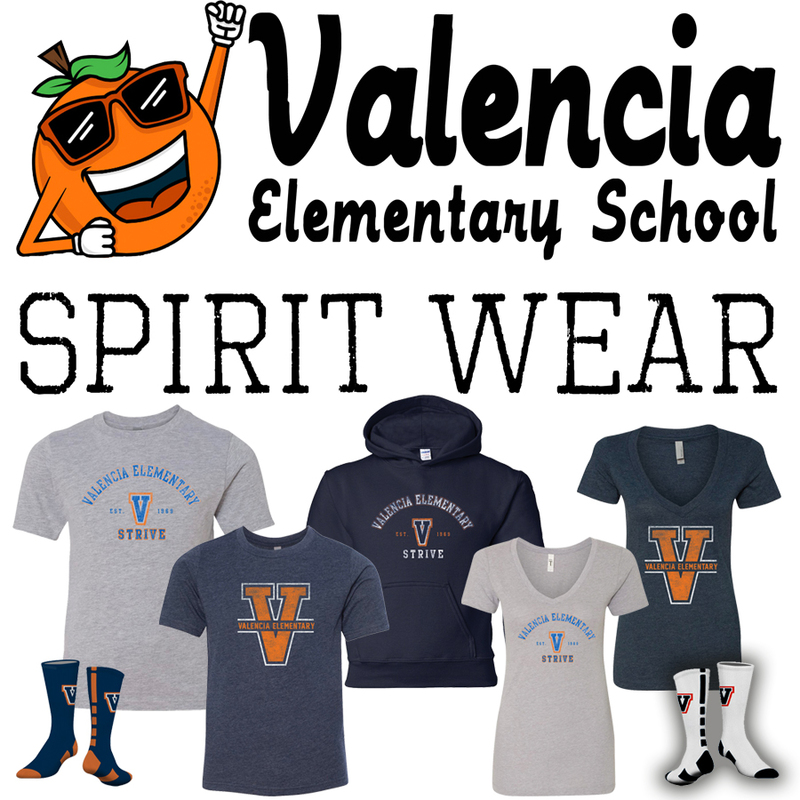 Want to donate to Valencia "for free"? Amazon, Ralphs, eScript, Benefit, and Communities for a Cause are all great ways to give to Valencia just by shopping like you normally do! Click here for information about our on-going community fundraisers.